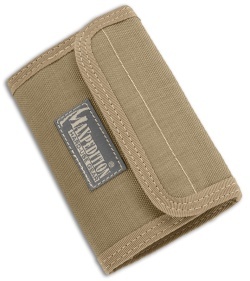 The new Maxpedition #0229 SPARTAN Wallet replaces the "over-engineered" PUG Wallet design. The evolution was a result of popular demand for a general purpose wallet design WITHOUT the bulky zippered coin purse that made pocket carry difficult. Customers were right; this simplification makes for a much better yet less expensive wallet. The SPARTAN still contains a plethora of small compartments secured with velcro tabs to prevent slippage. 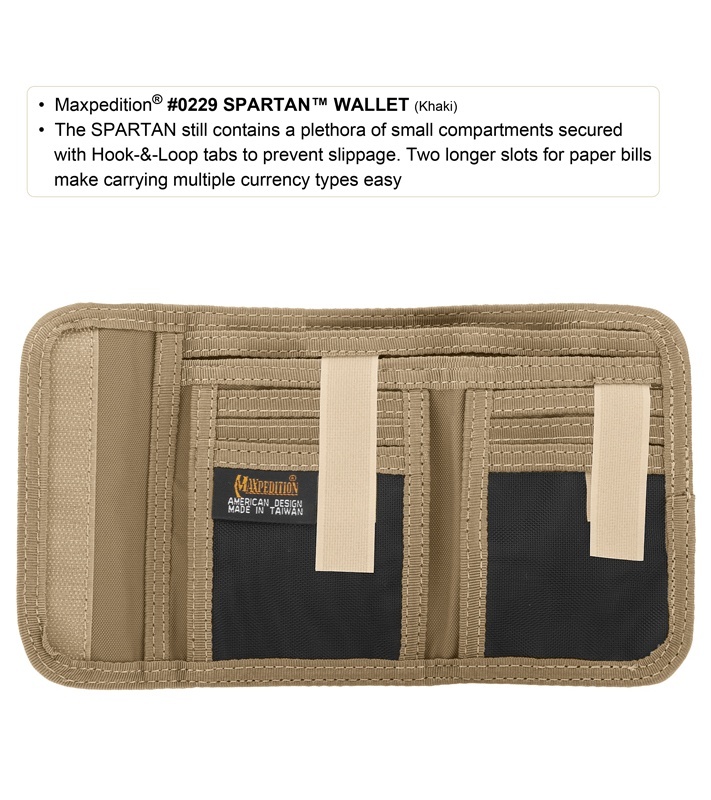 Two longer slots for paper bills make carrying multiple currency types easy (cash and cards not included). An external mesh pocket is great for quick access to ticket stubs or to separate receipts. •Closed, empty size: 5.5" x 3.5" x 0.5"
•Open, empty size: 9" x 5.5" x 0.3"